A Japanese one-pot winter wonder soup. 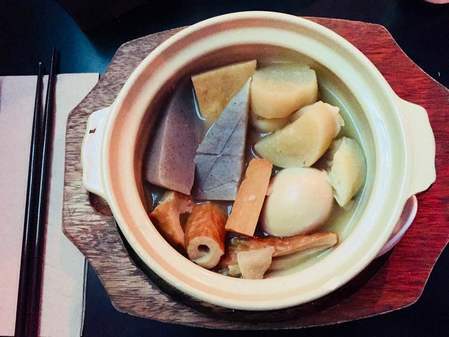 Nutritious and soul-warming, Horse Bazaar's Oden consists of daikon, hard-boiled egg, fishcake, potato, and konjac, stewed in a light, soy-flavoured dashi broth. Available throughout winter on its own for $12 or as a set with warm sake for $20. This is one of few reasons you will want Winter to go on.